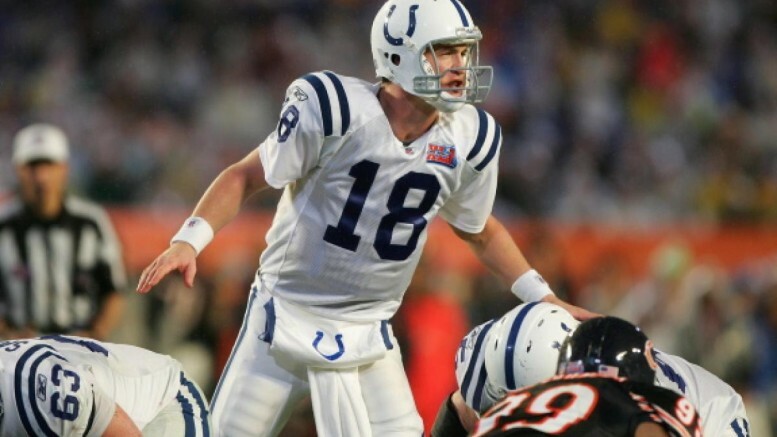 Peyton Manning's only Super Bowl title came with the Indianapolis Colts wearing their road white uniforms in Super Bowl XLI. Since it’s worked for 10 of the last 11 Super Bowl winners, the Denver Broncos decided to jump on the white-colored bandwagon. It’s a wise choice, if for no other reason than erasing the images of a grisly, 43-8 loss to the Seattle Seahawks two years ago in the Broncos’ orange home uniforms. The oranges did not work out particularly well for them in the 80’s, either, although those were the old-school unis. Denver’s Super Bowl history as a whole is a historically bad one, given that they have lost more Super Bowls (five) than any other franchise. On the flip side, losing Super Bowls means you have to at least get to them, and the Broncos have now done that as much any other club (eight times). The only two Super Bowls the Broncos have won, after the 1997 and 1998 seasons, came in blue and white, respectively. In orange jerseys (old and new), the Broncos are 0-4. Worse, none of those losses have been the least bit competitive, with 17 points being the smallest margin that they’ve lost by in those uniforms. In white uniforms, they are 1-1, also losing after the 1986 season to the New York Giants. It’s not clear why this trend has taken place. What is interesting to note is that the last time a designated home team chose to stray from the traditional colored jerseys was 10 years ago, when a string of three consecutive road victories prompted the Pittsburgh Steelers to don white in Super Bowl XL against the Seattle Seahawks. The other years, it has just worked out that the designated road team, in their white uniforms, has won the big game. The Steelers also happen to be the one outlier in this stretch, losing in white to the Green Bay Packers in Super Bowl XLV. The downside is that with the Panthers forced into wearing their home jerseys, the viewing public will be denied a chance to see what are actually my favorite unis in football, the Carolina whites with teal numbering and lettering. It is unclear whether they would then be allowed to wear their teal alternates, something I would be okay with. Ultimately, the game is played between the lines, and has nothing to do with fashion sense. But as a believer in karma in sports, the Broncos are making a logical choice. It won’t be the reason they win or lose the game. But it can’t hurt to try. Be the first to comment on "Denver Broncos Make Wise Choice to Wear White Jerseys in Super Bowl 50"